Of Love and War is divided into 4 parts: Fighting, Dying, Remembering, and Living. Each part represents a small chapter to the overall story of the book. Of Love and War is a mix of Free Verse, Prose, and Narrative poetry that gives specific focus to the combat stresses, PTSD, boredom, and losses associated with Jacob’s deployment to Iraq in 2005 as an infantry Marine. It also meshes a bold, intense, and sometimes unforgiving voice with that of a softer, gentler, and humorous tone love and the failings of. With great insight into the psyche of a warrior, and the deteriorating affects that war has on the body and mind, Of Love and War, is a book just as much about life, as it is about the struggles of combat. Full of wit, grit, honesty and sacrifice, Of Love and War brings a new, fresh, smack-you-right-in-the-face voice of a common man meant to experience extraordinary things. Love is superior, family is mighty, and we were put here, not for ourselves, but for each other. These are the core values that were passed down to me from my grandfather. Don’t chase the chickens, because one day, one might just chase you back; beer is more than just a breakfast drink; and do what you want, not what you’re told — these were also some things of value that were passed down to me from Grandpa. Growing up just down the hill from my grandfather and his chickens taught me more about life than anything that I could’ve learned in school (had I paid attention). Learning how to stand up for myself, to lend a helping hand, to nurture, and to protect the things I love, are just a few of the lessons that I learned while crossing that grassy path between his house and mine. Life Lessons from Grandpa and His Chicken Coop is a book about love, family, youth, maturing, and all the learning that happens in between. 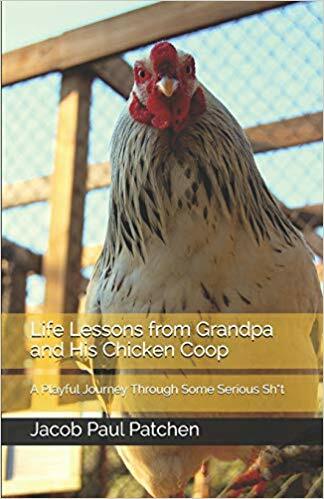 It is a powerful, humorous, insightful, playful, ornery, and philosophical narrative about perspective and the lessons that I have learned from growing up just as ornery as my ornery grandfather and his damn chickens. We are a strange breed of animal, running around glued to our screens and social medias. We hardly notice anything real anymore. Our friends are a number on a webpage, and the only way that we know if someone is into us, is if they like our post, photo or status. We’ve become digital. Emotional wrecks of capital letters and emojis. We live and breathe for notifications. Our knowledge comes from Google, not experience. Our rebellions and resistances happen on webpages. We fight people that we don’t even know. Relationships are a battlefield for the loyal and good-hearted. We care more about pouty lips and bulging abs than we do about homeless veterans, wars, freedom, and morality. We’d rather make fun of you, than have fun with you. We’d rather tear you down than to let others see our own weaknesses. We’d rather hate, than love. 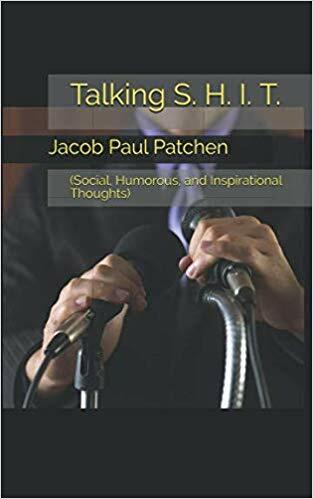 This is a collaboration of the author’s social/humor blog.